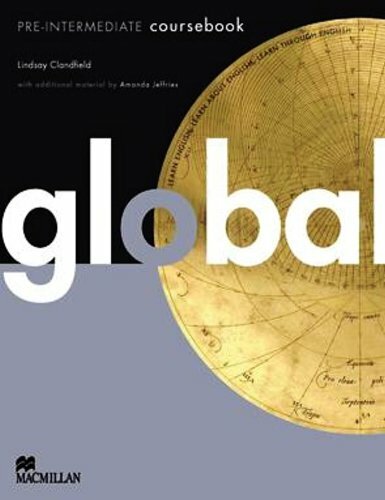 The adult coursebook “Global” by Lindsay Clandfield, has gained more and more popularity among teachers throughout the world as an excellent teaching resource since its publication in 2010. In the era of global English, more and more English teachers have realised the importance of improving their learners’ competence in international communication, building up their global visions and developing their critical thinking through English language teaching. At the same time, we also find it very difficult to escape the “celebrity culture” in most of the materials available on the market. Some of the content related to development can include references like successful and rich western people on luxury holidays; whilst the topic of AIDS might be accompanied by an image of an anonymous African child living in poverty. This type of content does not provide the whole picture. One striking feature of “Global” is that it is completely “celebrity culture” free. There are real images from the real world, which will help the learners to question some of their assumptions and think in a more critical and objective way. An important component of the book, “the culture of the English language” is also conveyed through references to classical literature. Aimed at adult learners, the well selected literature reflects the essential beauty of the English language and is able to trigger intense discussions among learners. The listening materials, “Global voices”, is another highlight. If it is agreed that English, as an international language, has developed into a spectrum of varieties in different regions, then what is the point of providing only “standard” British English or American English examples for learners in the classroom? Learners should be exposed to accents of English from all over the world and then they can learn how to communicate in “authentic” situations. According to the author, they collected the audio recordings before writing the materials, so the listening resources are unscripted, not artificial at all. Grammar is always on our checklist when previewing a coursebook. The grammar part in “Global” is very straight forward with clear illustrations. Teachers can also skip the grammar easily if they prefer. This possibility stems from the design itself, as the reading and writing sections are not devised to demonstrate the grammar points. On the other hand, learners can also find more in the “Grammar focus” section at the back of the coursebook, where each unit is divided into two pages, one for explanation and one for exercises, arranged in a user-friendly way. A good coursebook is designed carefully in every detail. The layout of “Global” allows for lots of white space on every page, where both the teachers and the learners can add notes or reminders. If you want to try something unique, a textbook about global English for global learners, “Global” has my vote.